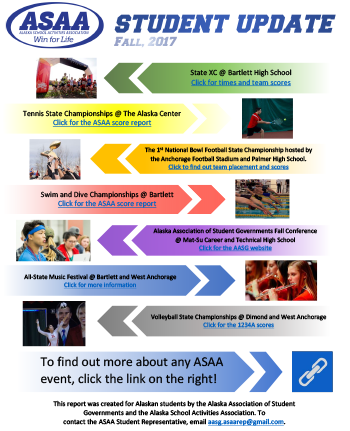 All delegates must meet the ASAA Eligibility requirements to participate in statewide AASG activities including conferences and Executive Board Meetings. Electronic Eligibility must be submitted by deadline announced for each activity. Tobacco, Alcohol and Drug Free – TAD! To participate in the AASG statewide conferences, students must sign the Play for Keeps Student Parent/Guardian Acknowledgment, which is now part of all ASAA activities.